Alex and his big fish of the day. The biggest one landed that is! 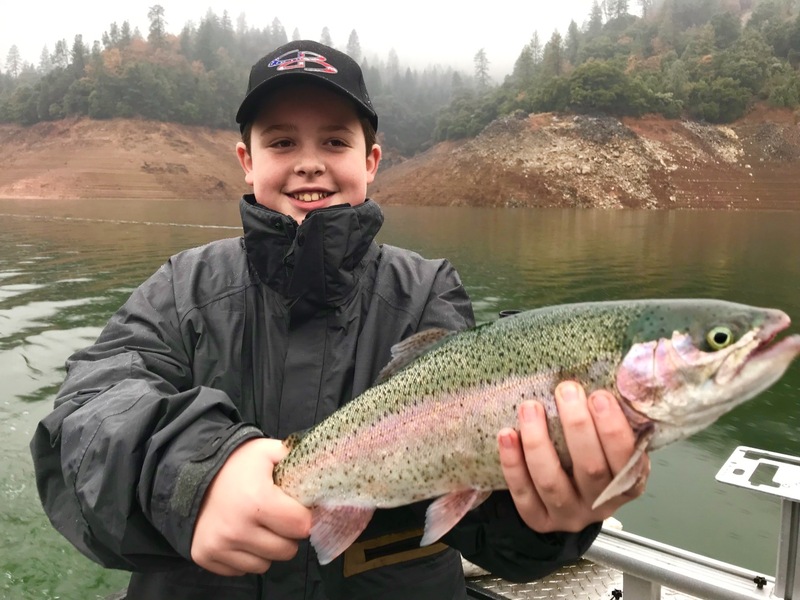 Great fishing on Shasta is back and the lake should get a rise out of this first wet winter storm. 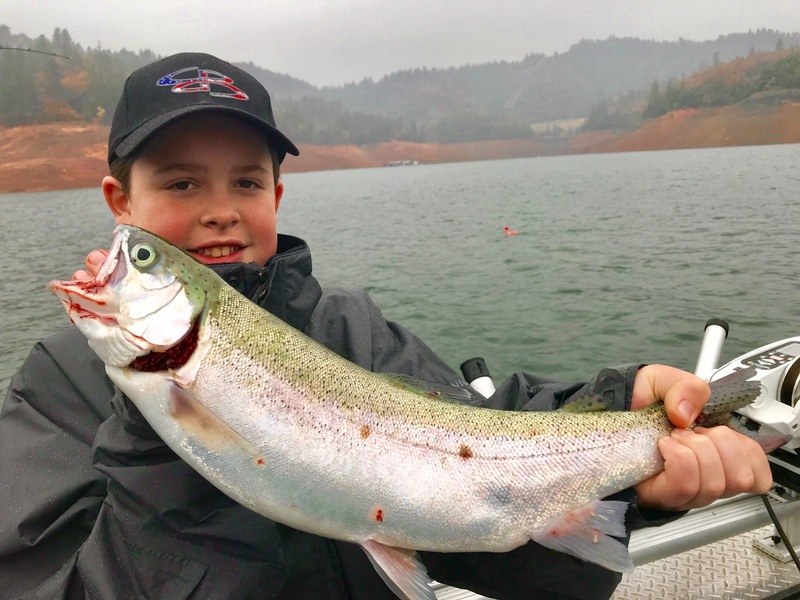 Today we fished Shasta Lake and found a really good bite considering the weather change. 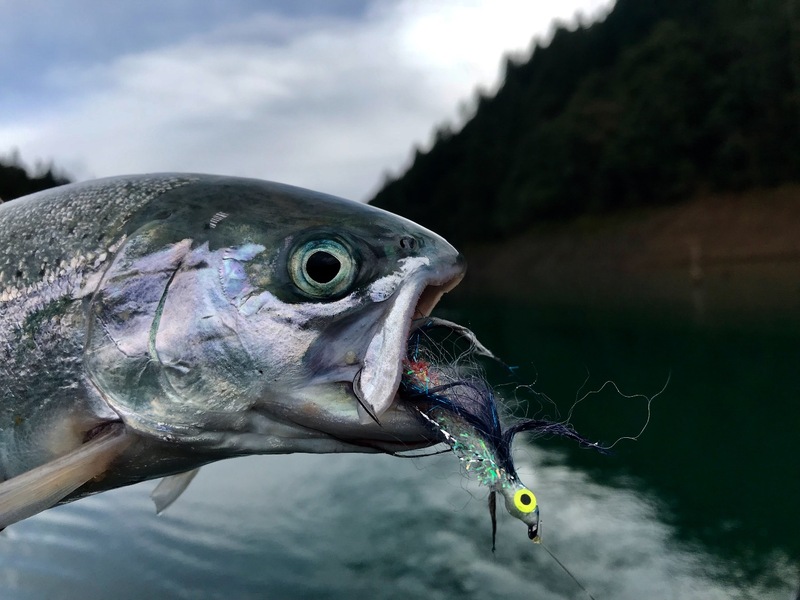 We fished Optimizer Spoons and Bay Rat Long Shallows on the surface and got more bites than we could keep track of. Time to hit Shasta for a sure thing type fishing experience! 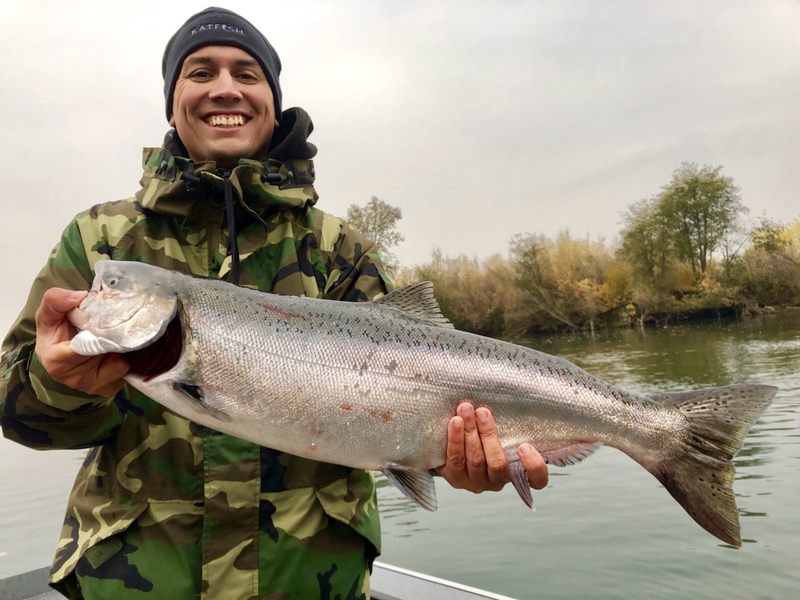 Big King bite today on the Sacramento River!